There are types of inner joints available. 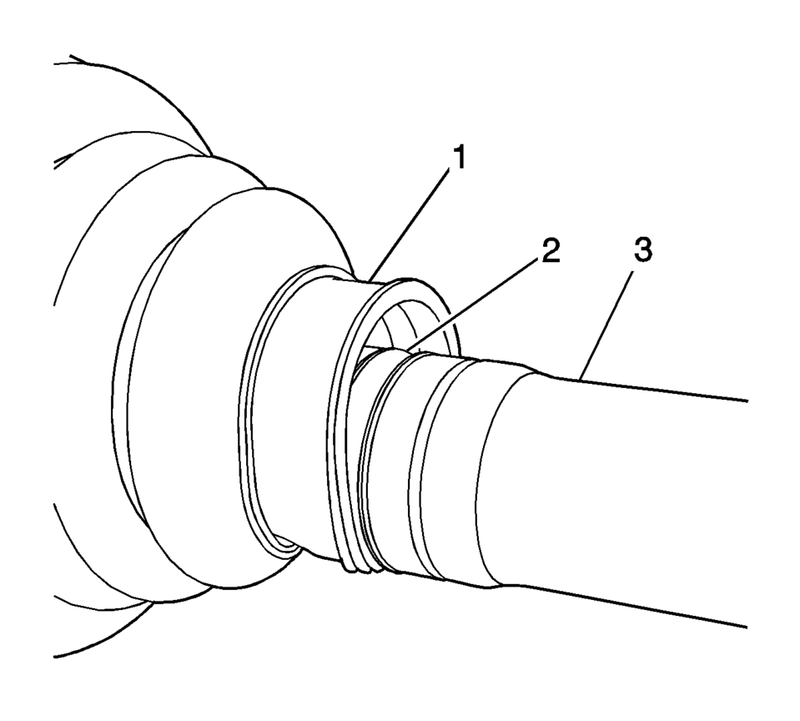 If the inner joint is connected with the CV style joint, the inner joint is not serviced separately. 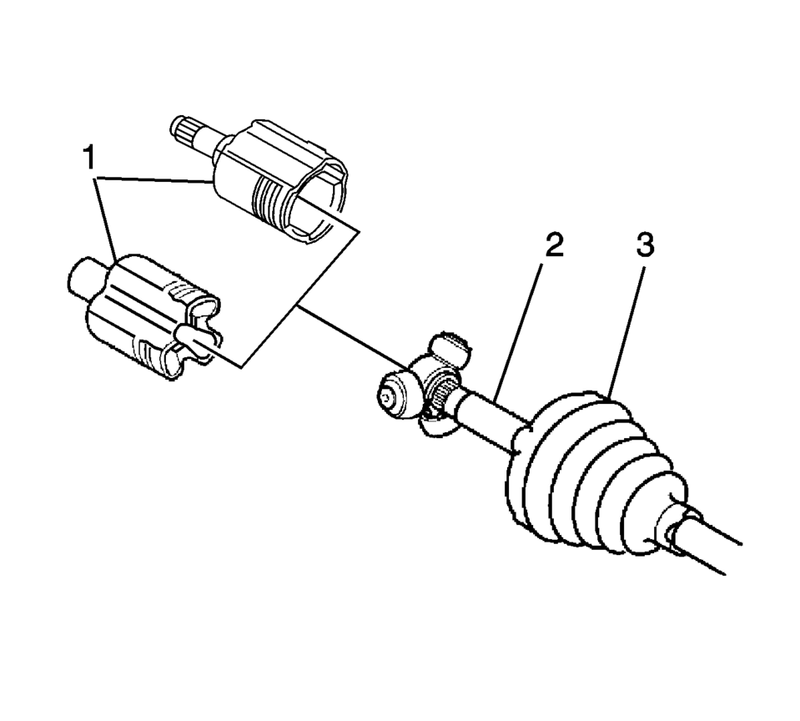 The inner joint is serviced with the wheel drive shaft as an assembly. If the inner is a tripot type joint follow the procedure below. 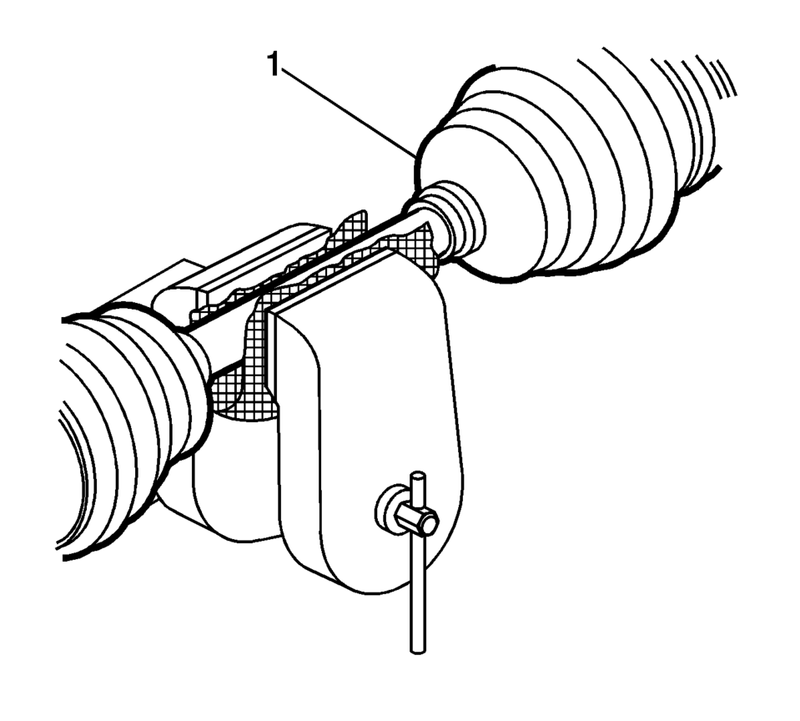 Install the wheel drive shaft in a soft jawed vise. Using a pair of side cutters, remove and discard the small boot clamp (4) from the boot (3). Using the appropriate tool, remove and discard the large boot clamp (2) from the boot (3). Remove the boot (3) from the from the tripot housing (1). Remove the inner tripot housing (1) from the wheel drive shaft (3). Using the appropriate tool, remove the outer tripot spider retaining ring (1) from the wheel drive shaft (5). 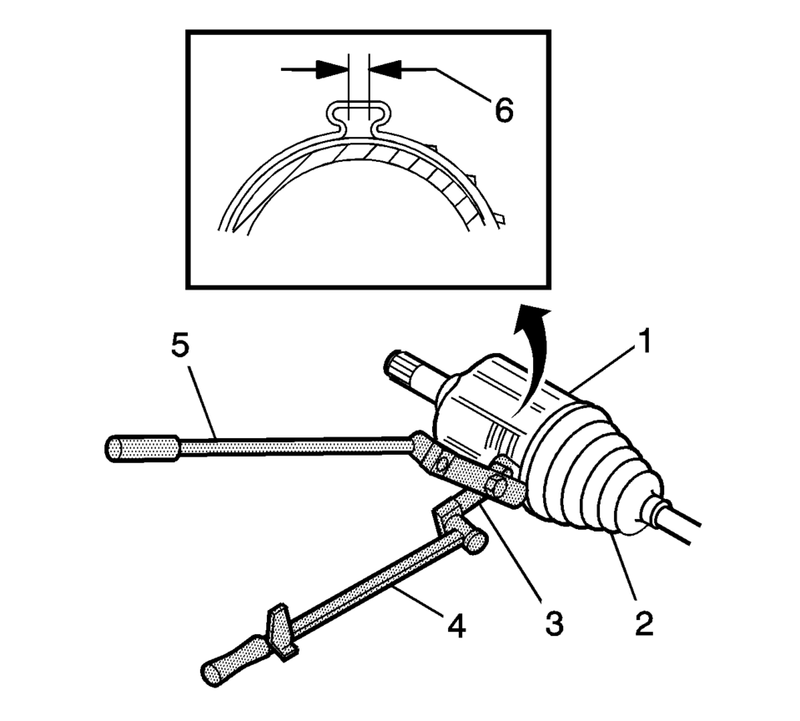 Remove the tripot spider (2) from the wheel drive shaft (5). 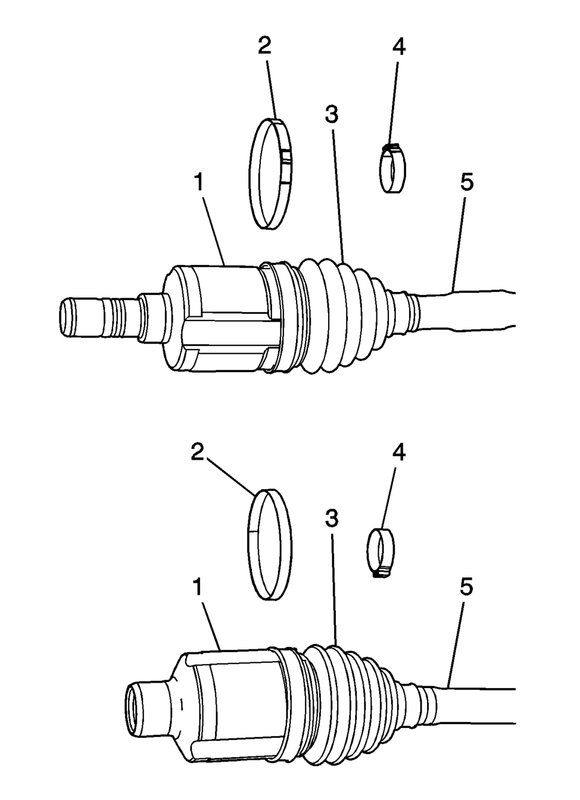 Using the appropriate tool, remove the inner tripot retaining ring (3), if equipped, from the wheel drive shaft (5). Remove the wheel drive shaft boot (4) from the wheel drive shaft (5). Inspect the wheel drive shaft inner joint. 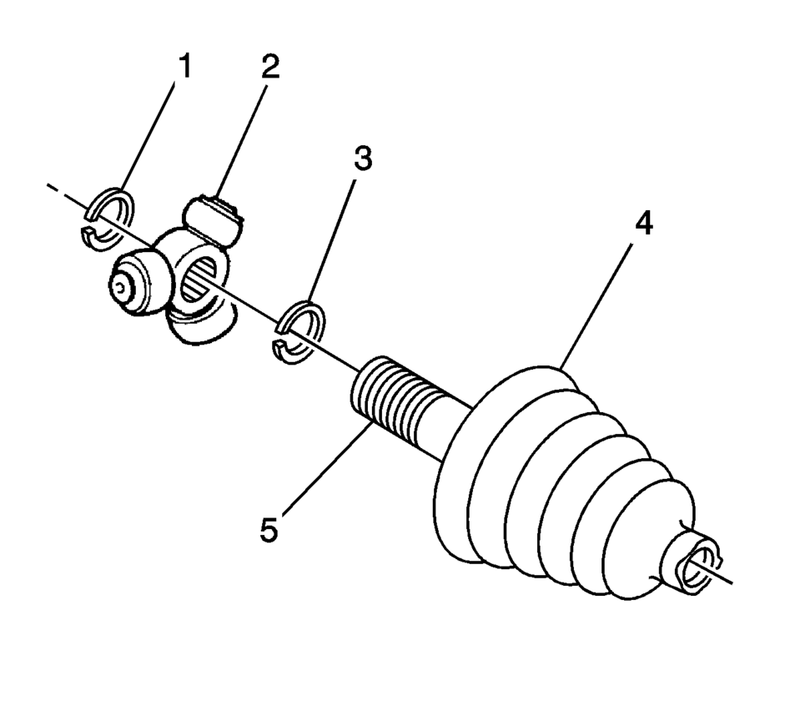 Refer to Wheel Drive Shaft Inner Joint Inspection. Install the boot (1) on the wheel drive shaft (3). 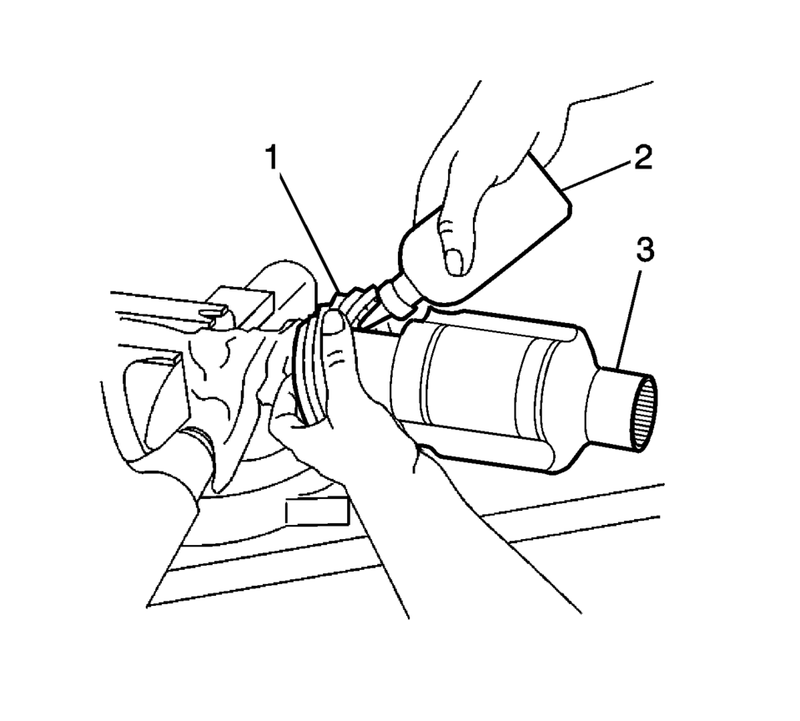 Ensure that the boot (1) is properly seated in the groove (2) in the wheel drive shaft. Using the appropriate tool, install the inner tripot retaining ring (3), if equipped. Install the tripot spider (2) until just touches the shoulder on the wheel drive shaft (5). Using the appropriate tool, install the outer tripot spider retaining ring (1). Install the tripot housing (1) on the wheel drive shaft (3). Install the wheel drive shaft boot (3) on the tripot housing (1). Place approximately half of the lubricant (2) in the boot (1) and the remaining half in the tripot housing (3). Remove any of the excess lubricant from the tripot housing and wheel drive shaft. 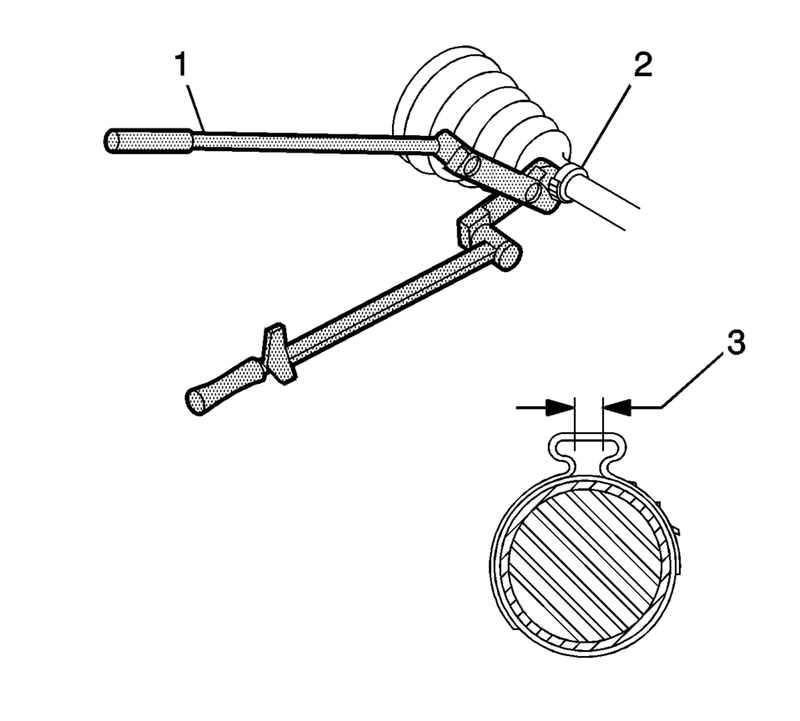 Move the tripot joint housing in a circular motion to distribute the lubricant in the tripot housing. Remove the wheel drive shaft from the vise. Install the wheel drive shaft in the vehicle. Refer to Front Wheel Drive Shaft Replacement.